In here be me thoughts on living and writing. Out there be monsters. In addition to letting me read her debut The Burning of Isobel Key (review here) Jen McConnel also tagged me in the First Look Challenge and well, once you’re tagged, you’re IT. That’s the rules, right? The way it works: You search your WIP for the word “look” and then post the scene it surrounds. I’ve got two novels I’m working on currently so I went with the second Lizzy Speare book, tentatively called Lizzy Speare and the Hall of Hecate. In the scene, Jonathan and Lizzy are on their way to see a witch named Medea Elderwood who lives in an abandoned amusement park down at Coney Island. Enjoy! “I’ve always preferred the ocean when no one else was around,” Jonathan said. She followed him down the boardwalk past the rows of stalls, their shutters clamped tight. In the distance, a large Ferris wheel rose into the sky like a giant metal snail shell. Ahead of them towered a parachute jump, now devoid of the parachutes, looking like an alien antennae, stark and metallic, against the cloudy sky. To her left were the piers and the ocean. The water licked the sand cautiously, dipping and foaming around the straight lines of algae-crusted rocks near the shoreline. Jutting out into the water was the pier, cut from the same ill-fitting wood as the boardwalk, like a finger reaching out to test the water. From it, Lizzy heard the sound of drumming as men playing the bongos shouted in Spanish to the crabs they hoped to ensnare in the cages that dangled off the pier. Behind them, the sky rippled with a crackle of lighting and a low rumble. “Looks like a storm,” Lizzy said as she strained to keep up with Jonathan’s long strides. He led them down the boardwalk, to where an old abandoned amusement park stood. The rusted front gates were locked and threaded with police tape. An advertisement for condominiums hung from the entrance offering future residents spacious views of the ocean. Demolition was scheduled in a few weeks and then the Midnight Carnival, as the amusement park was called, would be no more. At the end of the boardwalk, where the land dipped down, they slipped under the railing and landed softly in the tall reeds growing out of the cool sand. About halfway down the side fence, they ducked under a section that had been clipped and peeled back. “Be careful you aren’t seen. It’s still light out,” Jonathan said as they crept into the vacant amusement park. They passed between the Flying Carpet, a pendulum ride and the old-fashioned swings which hung sadly, their chains rusted in the saltwater air. They stepped over thick black cables that snaked across the walkways, many of which had been split open by rats, exposing their plaits of copper wire and twisted cords. They looked like the severed limbs of some giant sea creature. A small white roller coaster lay silent on the tracks. As they passed, Lizzy glanced at the warped wooden cars and rusted bolts. “This place is creepy,” Lizzy said out loud, causing a nearby flock of seagulls to flurry into the air, cawing anxiously. “Shhhhh. I told you to be quiet.” Jonathan shook his head and continued forward, ignoring Lizzy’s muttered apology. I’m stopping here cause otherwise it’ll be spoilers galore. Like what you read? Wanna be a beta reader? Leave me a comment below. We’ll talk. 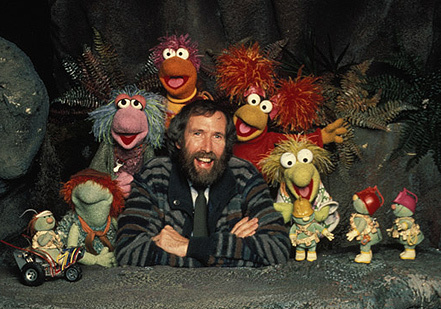 Also, finally, a Happy Belated Birthday to Jim Henson. The world ain’t the same without you, old friend. Thanks for everything. Remember kids, keep believing. Keep pretending. Thanks Jen! I can’t wait to read your new one!